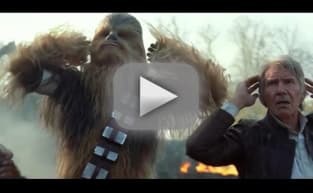 Star Wars The Force Awakens Trailer: Something Has Awakened! No Black Friday sale can compare with the joy achieved this morning as the Star Wars: The Force Awakens teaser trailer has arrived! It begins with a landscape shot of a sandy planet (could it be Tattooine?) and a close-up on John Boyega in a Storm Trooper uniform with his helmet off. He is deeply concerned and he starts running… and we’re off! We don’t get to see any of our faves that are back, such as Harrison Ford, Carrie Fisher, Mark Hamill or even Anthony Daniels as C3PO -- but we do get the Millennium Falcon! Watching Daisy Ridley take off on her vehicle and knowing that “something has awakened,” as the teaser says, is enough for us. Look for more from the world of Star Wars: The Force Awakens as the film’s release date of December 18, 2015 inches closer. 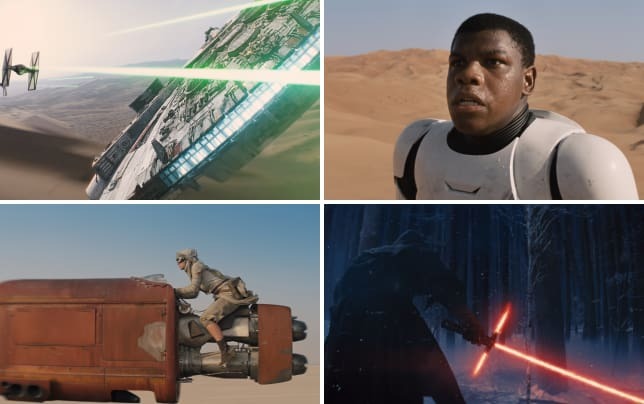 Disney has also released a quartet of stills from Star Wars: The Force Awakens -- check them out below!